A 45-year-old Jerome man is facing four Blaine County felony charges for allegedly breaking into two storage units last year in Bellevue and stealing items valued at more than $15,000. Gerald Wade Henslee was arraigned Monday in Blaine County 5th District Court on two counts of burglary and two counts of grand theft. Judge Robert J. Elgee advised the defendant that burglary is punishable in Idaho by up to 10 years in prison while grand theft is punishable by up to 14 years in prison. Henslee pleaded not guilty to all four charges. A jury trial was scheduled for July 24. Henslee is represented by the Roark Law Firm under its public defender contract with Blaine County. 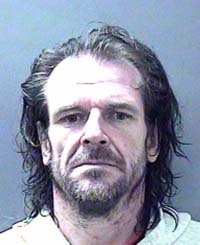 Henslee remained incarcerated Tuesday in the Blaine County jail. He is being held without bond. A probable cause affidavit filed by Bellevue Marshal Larry Clark alleges that Henslee cut the locks and broke into two units at South Valley Storage on West Spruce Street in Bellevue in mid-November 2011. He allegedly stole a small fishing boat, a 32-inch television and a suitcase filled with clothing from one unit. From the second unit, Henslee allegedly took a snowmobile, a 55-inch television and a bicycle. The total value of the stolen items is estimated in the Clark affidavit at $15,650. The thefts were reported to the Bellevue Marshal's Office on Nov. 21, 2011. Clark wrote that he received information on the stolen snowmobile on Nov. 28 from Idaho State Police. Henslee was interviewed in December while being held in the Twin Falls County jail on an unrelated drug charge. Following further investigation, a warrant was issued for Henslee's arrest in January.